An Ohio plastics manufacturer on Monday purchased the former Trane building in the Monroe County Industrial Park to put a distribution and manufacturing plant there. 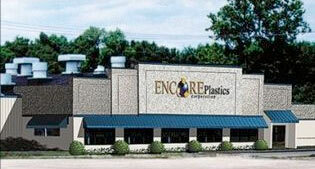 Encore Plastics of Sandusky, Ohio closed on the 60,000- square-foot facility on Monday and announced plans to hire about 20 employees initially with the plant expanding and eventually hiring up to 100 employees. Tiffany Andrews, director of the Development Authority of Monroe County, who helped negotiate the deal, said the plant will operate as a distribution facility until the authority can extend a railroad line to the plant from the main tracks along Hwy. 41. The rail-line extension will cost about $350,000, said Andrews. Once the railroad is completed the company will begin manufacturing. City, county and school board officials had approved a tax break to lure Encore. But when the authority agreed to extend the railroad, the company agreed to forego the tax breaks. The company bought the building, which was listed for $2 million, from HVAC Industries for $1.6 million, said Andrews Encore Plastics is an injection molder and thermoformer that manufactures and distributes plastic, paper and metal products, paint applicators, caulking guns, and packaging products to customers in the U.S. and Canada. The company is sending three managers from Ohio and Utah to get operations started in early 2011. The facility will hire about 20 employees locally, and up to 100 when manufacturing begins, said Andrews. Encore looked at several communities in Georgia and Mississippi, and considered expanding operations in Ohio, before deciding on the Forsyth location, said Andrews. “The Georgia location suits Encore’s focus on specific markets within the region. The prime location on I-75 gives us room to expand and lower freight costs to our customers allowing us to remain a cost-efficient producer of plastic packaging for our coast-to-coast customers,” said Craig Rathbun, President. The plant will manufacture and distribute paint sundry related packaging items, along with a full line of industrial pails. “The Authority is delighted with Encore’s selection to open their southeast operations in Monroe County. Their corporate culture will be a good fit in our community. We look forward to a continued relationship as they plant and grow their company in Georgia,” said Kerri Swearingen, Chairman, Development Authority of Monroe County. “This announcement is the result of true collaboration between the City, County, Tax Assessor and School Board officials. Each are to be commended for working together and ensuring Monroe County was Encore Plastics only choice,” said Andrews. “We are pleased that Encore Plastics is capitalizing on the outstanding location, strong workforce and businessfriendly environment, that Georgia and the City of Forsyth has to offer,” said Charlie Gatlin, Director of Community and Economic Development with Electric Cities of Georgia (ECG). “The strong partnerships that our organization has with our statewide economic developers and city officials make Georgia a competitive place to do business.” Encore Plastics will train its expanding workforce with assistance from Quick Start, Georgia’s nationally recognized workforce training program.